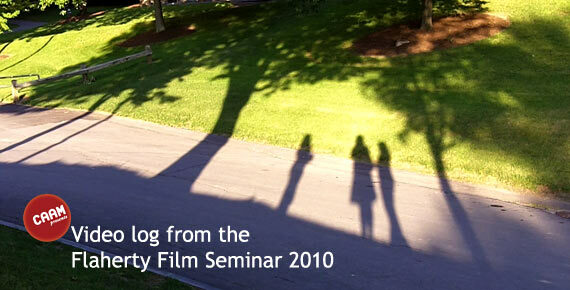 Time, indigeneity, ideology, and audience are all touch upon in vlog #3 of our series on the The 56th Annual Flaherty Film Seminar. This video covers day 4 of our experience at Flaherty and features Amalia Cordova, Flaherty board member and programmer at the National Museum of the American Indian, as well as Filmmakers Akosua Adoma Owusu and Michael Glawogger. Time, indigeneity, ideology, and audience are all touched upon in vlog #3 of our series on the The 56th Annual Flaherty Film Seminar. This video covers day 4 of our experience at Flaherty and features Amalia Cordova, Flaherty board member and programmer at the National Museum of the American Indian, as well as Filmmakers Akosua Adoma Owusu and Michael Glawogger.